Model kit range 1992 catalogue combines four languages: German, English, French and Dutch. In 1991 Revell got a ten year licence to produce and sell the kits. Matchbox still remained a registered trademark of Matchbox International LTD, Hong Kong. Note: the numbering of the kits is totally revised under the typical Revell numbering scheme. 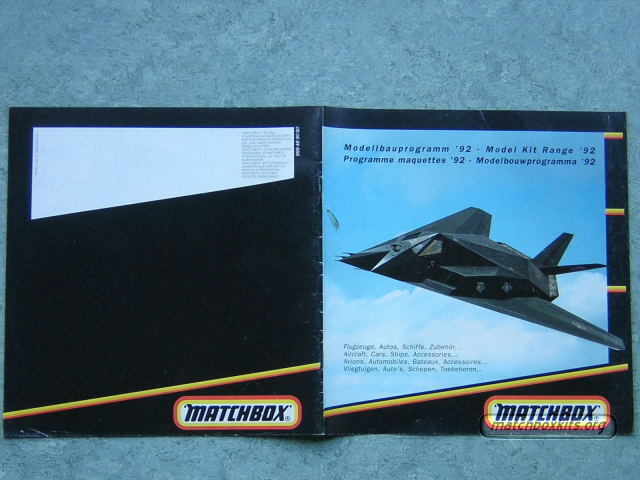 Many kits were released under a new number with only slight modification like a new decal sheet.